It’s Ana here today sharing a Thank You floral card post! 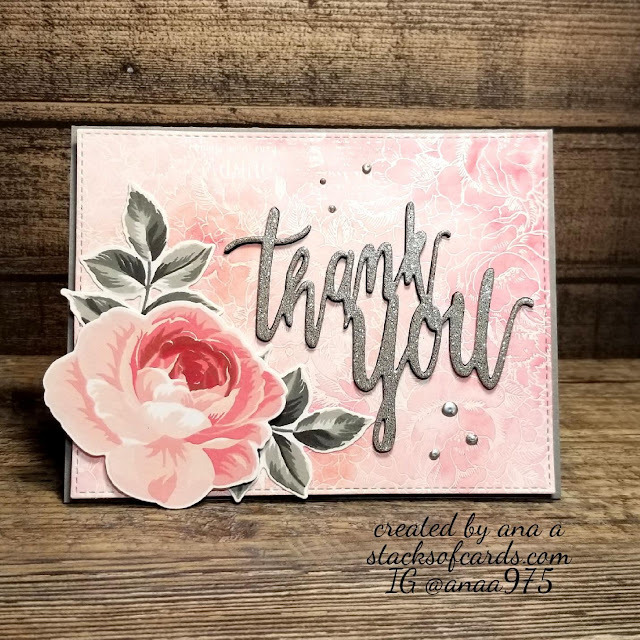 This card and color combination were inspired by a few rose die cuts I had leftover from a previous project. To start, I choose the paper for my background. 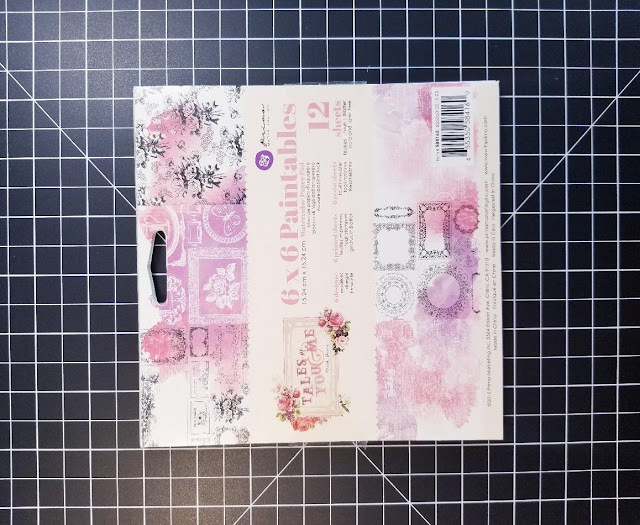 Prima – Tales Of You and Me - Watercolor Paintables 6x6 paper pad from CutCardStock has so many amazing pre-embossed printed images that worked really well with the theme I had for my card. 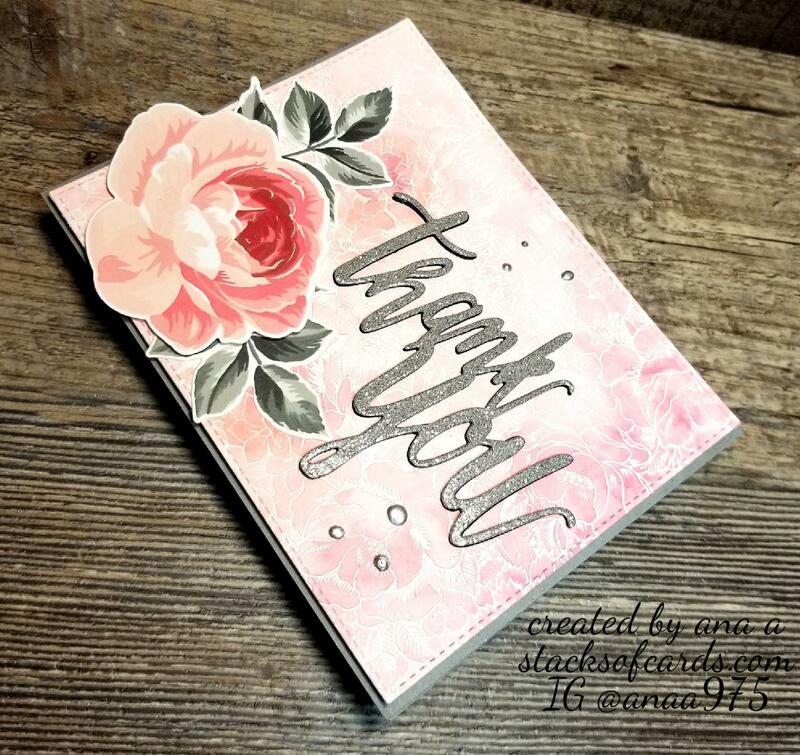 I choose one of the pages that I thought would look good with the rose design and added a watercolor wash in colors matching the rose die cut. 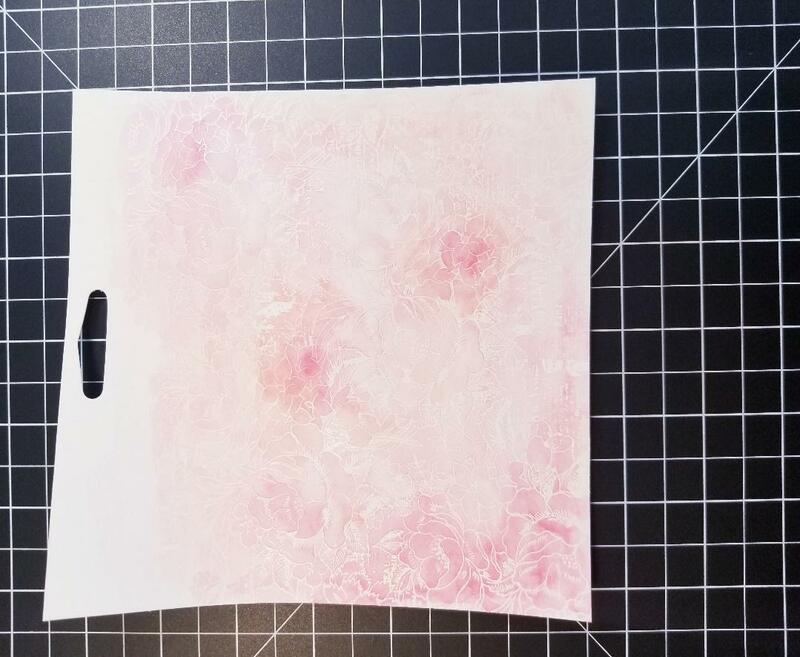 The paper warped just a little bit from the water I added. To flatten it out, I set it under a few heavy books for a while I was working on the rest of the card, starting with the sentiment. From CutCardStock Glitter Card Stock Sample Pack and choose my glitter paper I would use for the sentiment. 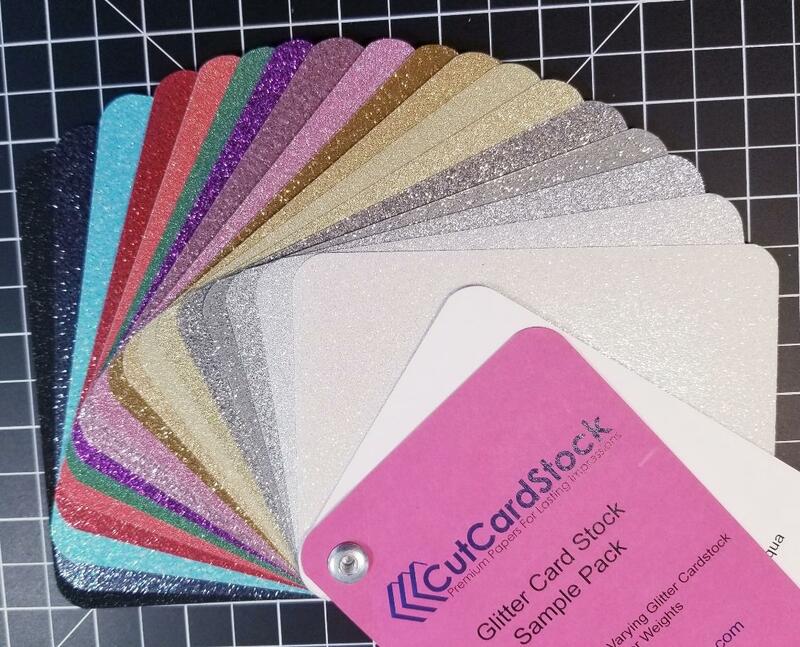 I included the photo of all colors listed in this glitter paper Sampler Pack. 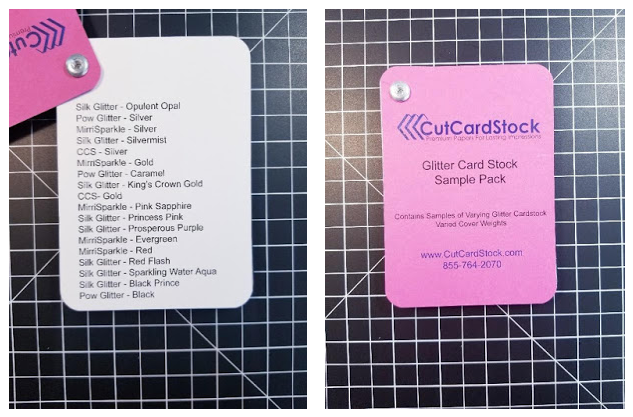 I thought getting a sampler pack would be the best way for me to see all the colors in person and also help me keep track of which colors I use the most. I must say they’re all beautiful but the array of gorgeous golds and silvers blew me away. The photo below shows all the colors. 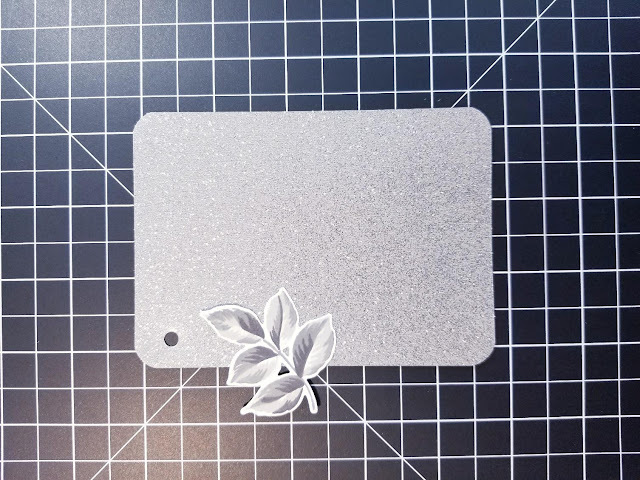 I choose Silk Glitter in Silvermist color for my sentiment as it matched perfectly with the leaves. 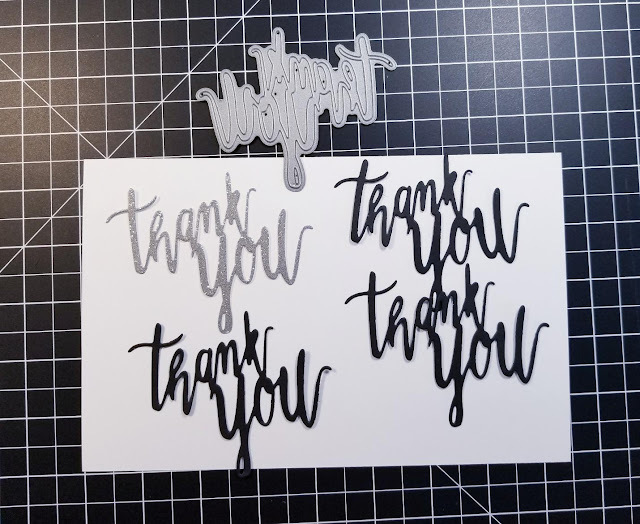 I die cut the sentiment (Altenew Thank You die) next, once out of glitter card stock and three more times out of black card stock. 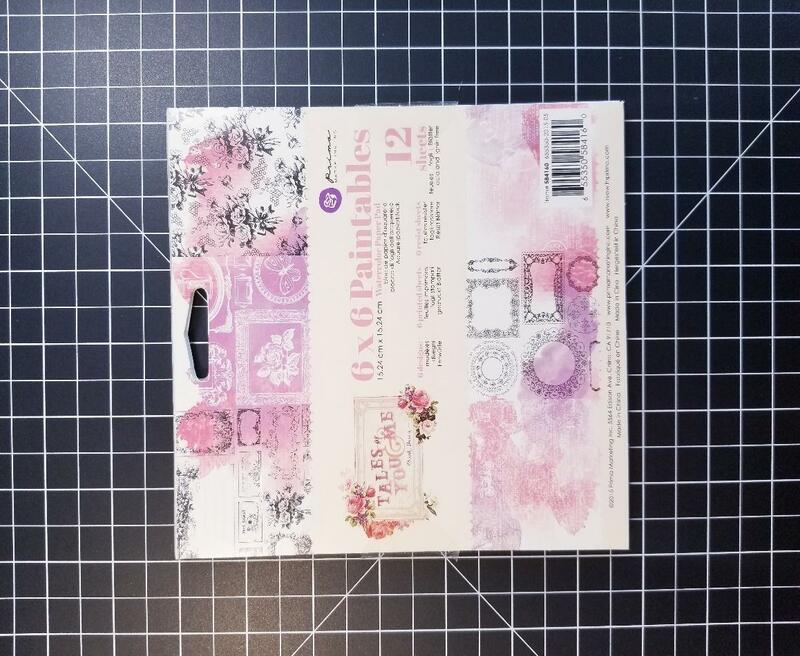 I stacked all die cuts for added dimension and started assembling the card. 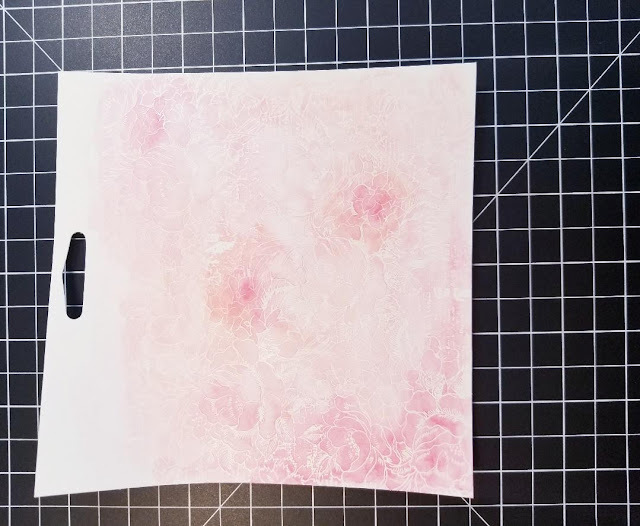 I die cut the water colored background with a stitched rectangle die and added craft foam behind for dimension. 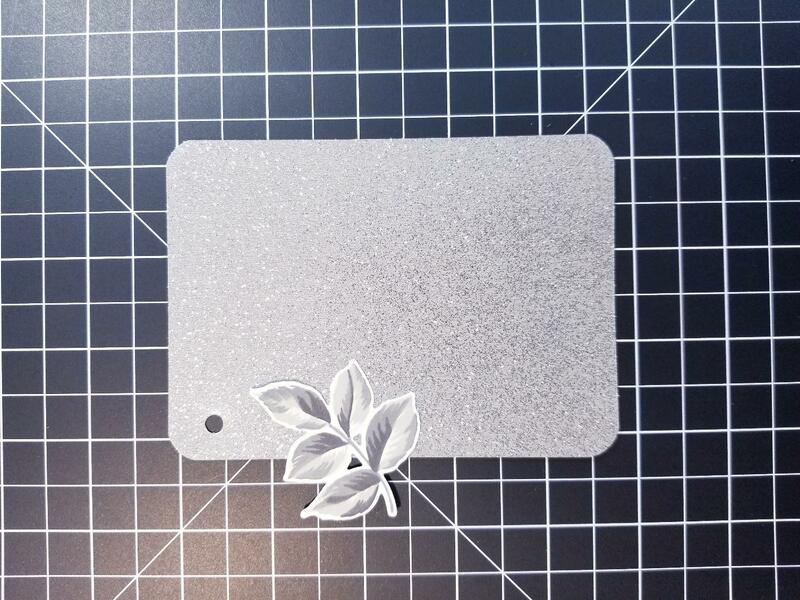 I decided on a dark gray card base for this project and adhered my background to the base with liquid glue. Next, I adhered the leaves directly on the background and popped my rose with foam tape. I made my glitter sentiment a focal point of the card and adhered it almost directly in the center. For finishing touches, I added a few silver Nuvo Drops.